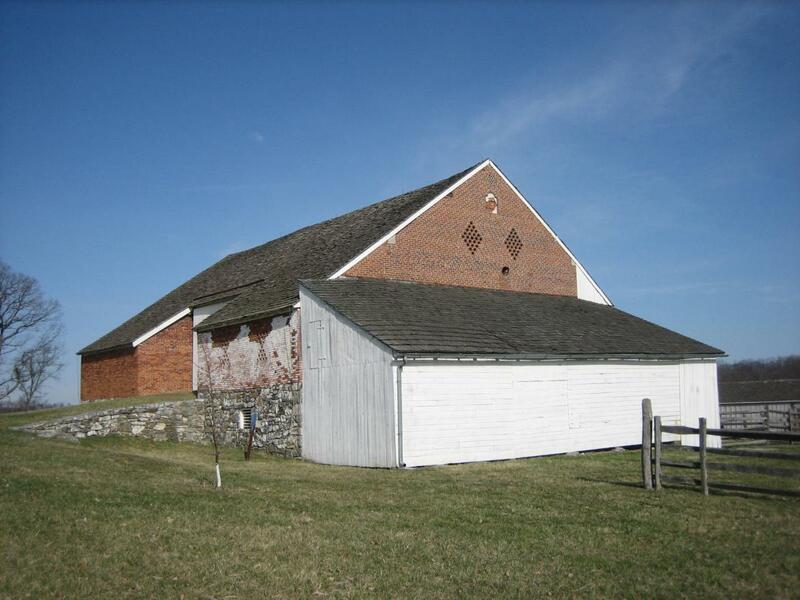 In 1863 the Abraham Trostle Farm contained over 134 acres, and was described as consisting of “a large Pennsylvania style bank barn, a wagon shed addition, a newly built frame house, a corn crib, and an apple orchard. This view was taken from the south facing north at approximately 4:30 PM on Tuesday, March 25, 2008. 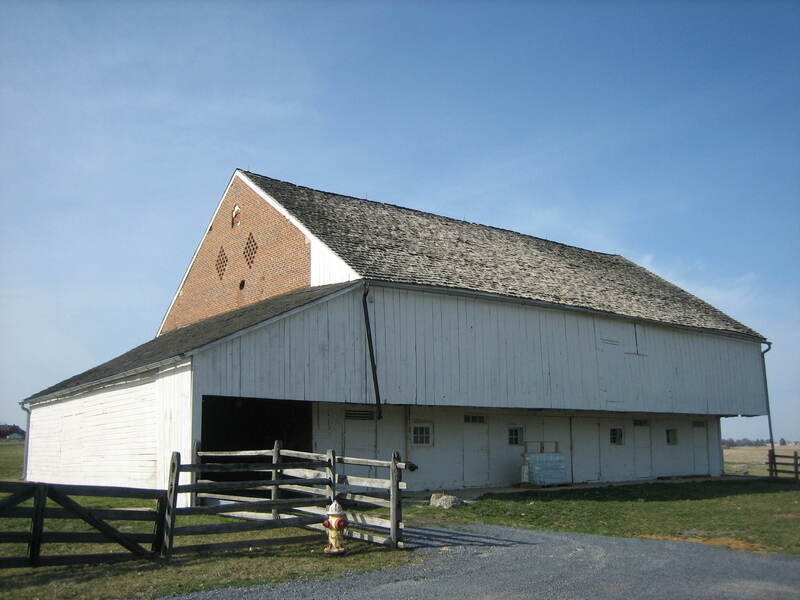 On Tuesday afternoon, the Gettysburg Daily visited the Abraham Trostle farm on United States Avenue in Gettysburg National Military Park. 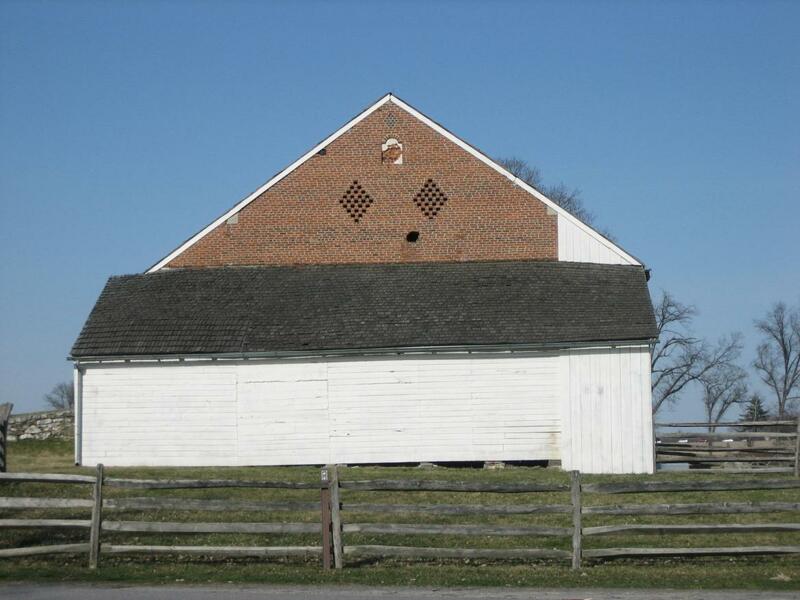 The farm is most famous for the hole in its barn made by a Confederate artillery shell. 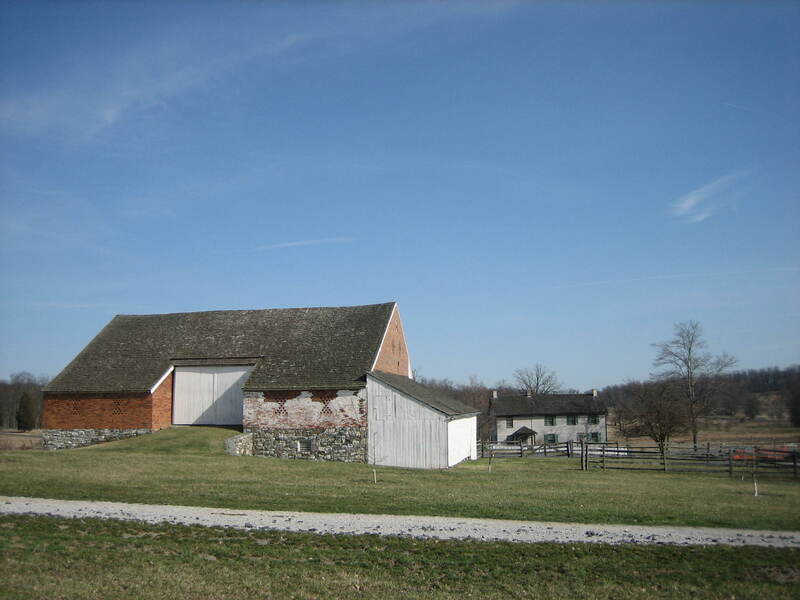 The Trostle Farm was owned by Peter Trostle, and leased to his son, Abraham Trostle, for 15 years in 1849. 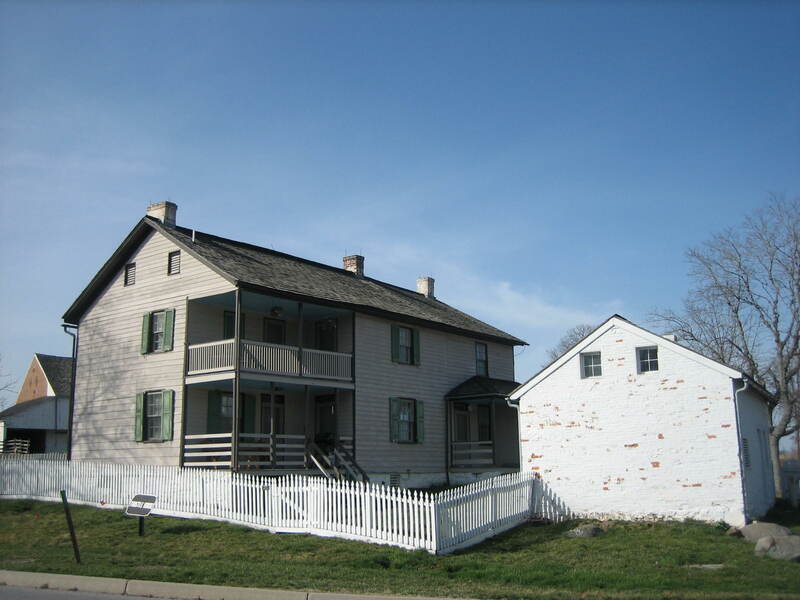 Abraham Trostle, his wife, Catherine, and their children stayed at the farm until the fighting was too close. They then abandoned it, and were not present during the battle. This view was taken from the southeast facing northwest at approximately 4:30 PM on Tuesday, March 25, 2008. The Trostle House was used as a hospital, and in 1863 consisted of seven rooms and a basement. View from the south looking north at approximately 4:30 PM on Tuesday, March 25, 2008. Trostle, Abraham Cumberland Township, Pennsylvania resident, Gettysburg Post Office. (circa 1821-) He was born in Pennsylvania. The 1860 census shows Abraham Trostle was “white,” a Farmer, and that he lived in the same dwelling and was part of the same family with Catharine Trostle (1817-), born in Pennsylvania; George W. Trostle (1845-), born in Pennsylvania; Margaret S. Trostle (1848-), born in Pennsylvania; Conrad Trostle (1849-), born in Pennsylvania; Ephraim Trostle (1851-), born in Pennsylvania; Sarah Trostle (1853-), born in Pennsylvania; Peter Trostle (1854-), born in Pennsylvania; Lydia A. Trostle (1856-), born in Pennsylvania; Abraham Trostle (1858-), born in Pennsylvania; Mary A. Trostle (1860-), born in Pennsylvania. Catharine Trostle filed a damage claim with the United States government. She claimed that there were 16 dead horses near the house, and 100 dead horses on the farm. She also claimed the following items destroyed: hay, oats, wheat, garden vegetables, quilts, carpet, pillows, bridle, posts, and timber. View is from the southwest facing northeast at approximately 4:30 PM on Tuesday, March 25, 2008. The east side of the Trostle Barn. 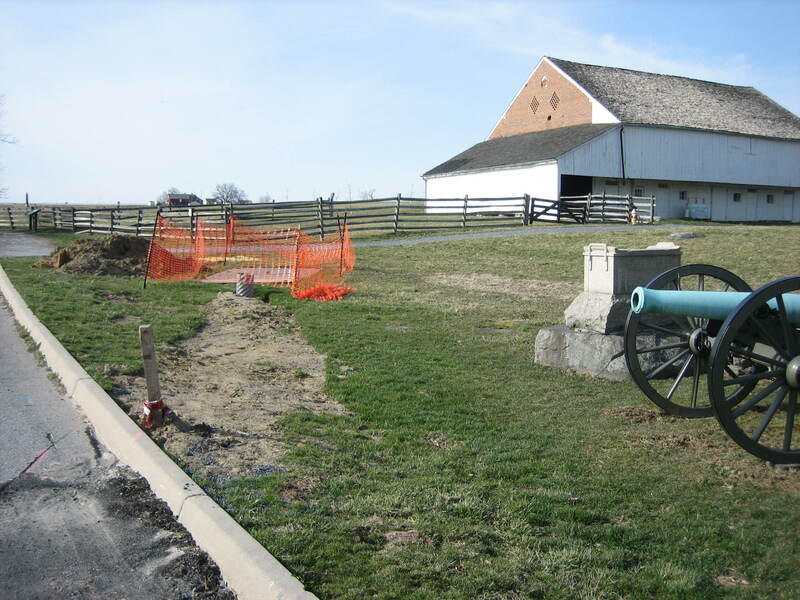 The 9th Massachusetts artillery battery made a stand around the Trostle Farm on July 2, 1863. 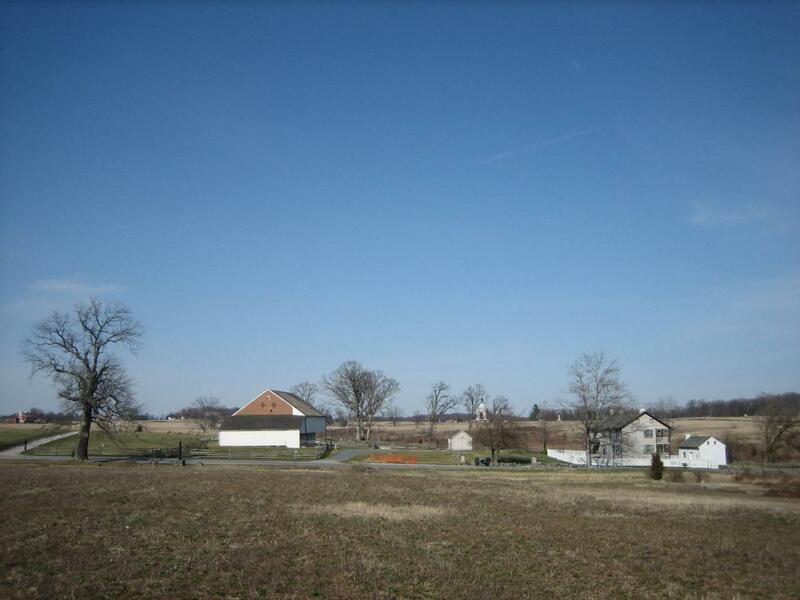 This view was taken from the southeast facing northwest at approximately 4:30 PM on Tuesday, March 25, 2008. The south side of the Trostle Barn. The hole where a Confederate artillery shell went through the bricks underneath the diamond shape vents is clearly visible here. This view was taken from the south facing north at approximately 4:30 PM on Tuesday, March 25, 2008. 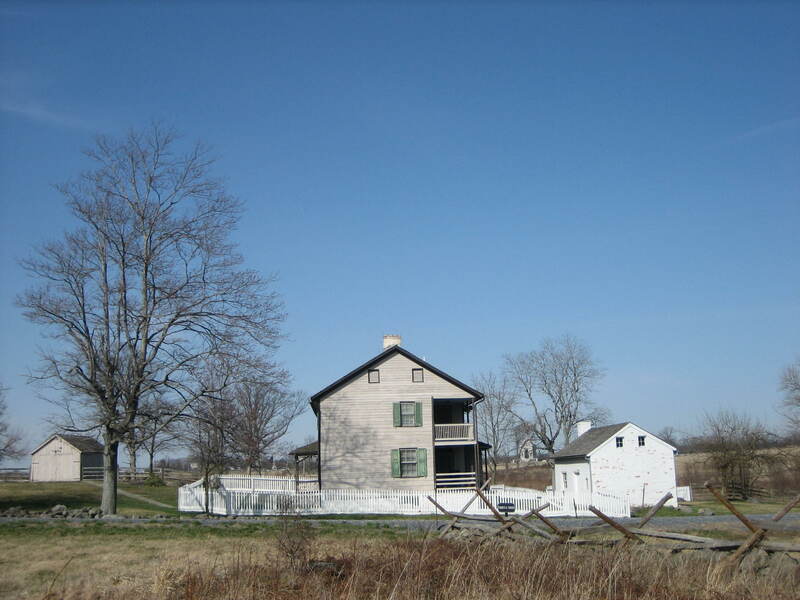 United States Major-General Daniel Sickles was wounded just to the left of (west of) the barn on July 2, 1863. View is from the southwest facing northeast at approximately 4:30 PM on Tuesday, March 25, 2008. The United States government did not compensate the Trostles for losses sustained during the battle. 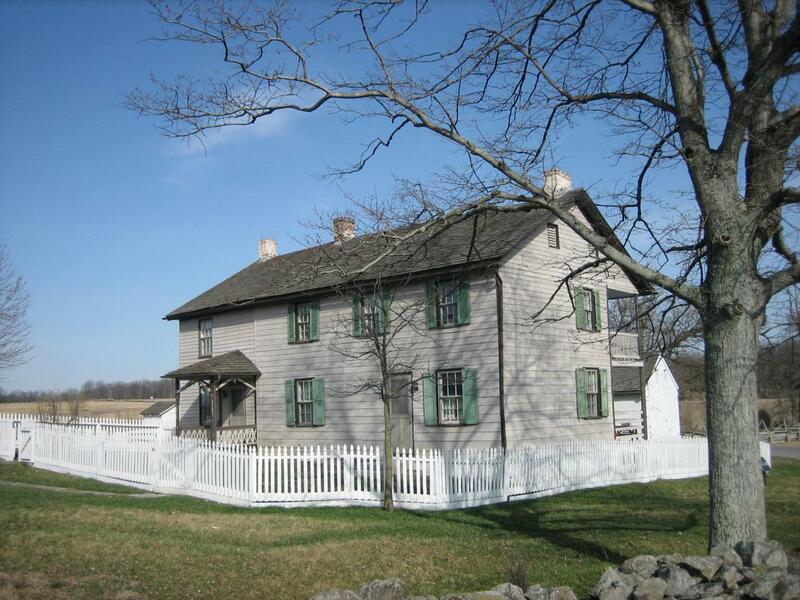 In January, 1899, the farm was sold to the United States government for $4500. View from the west looking east at approximately 4:30 PM on Tuesday, March 25, 2008. 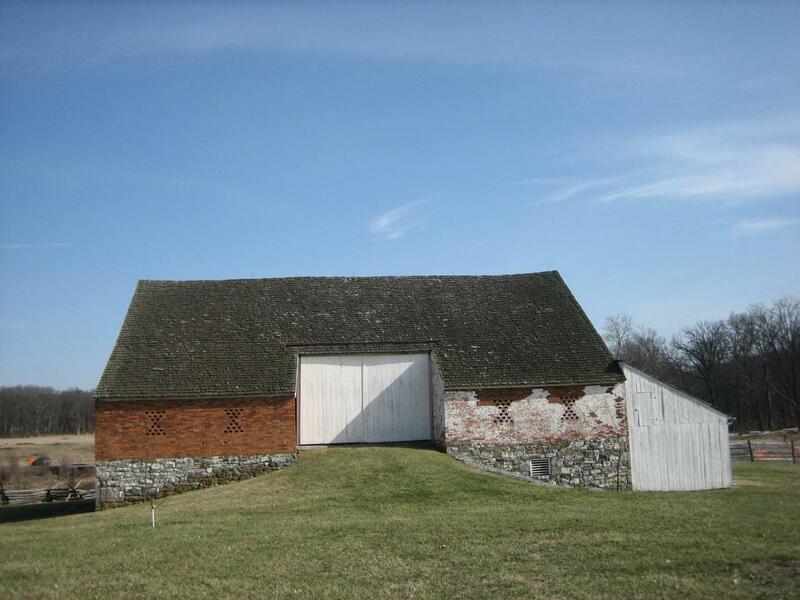 The west side of the barn showing the earthen ramp leading to the doors. View from the west facing east at approximately 4:30 PM on Tuesday, March 25, 2008. Utility work is currently being conducted at the site. View from the southeast facing northwest at approximately 4:30 PM on Tuesday, March 25, 2008.